TJB-INC uses and sells three different kinds of synthetic turf adhesives. Each of the above listed adhesives has its different advantages, so read the different descriptions and choose which one will work best for your application. At TJB-INC, we use and sell only one brand of seam tape. After trying many different binder materials from Landscape Fabrics, EPDM Seam Tape, to Various Different Fabric Materials, we have settled on what worked the best for all of our applications. 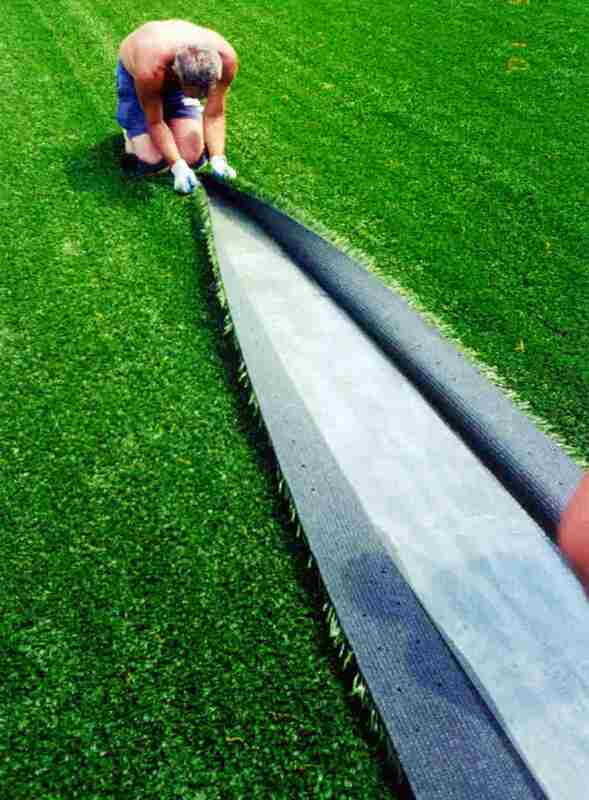 Whether they were synthetic putting green surfaces to adjoining rolls, to fringe material, or synthetic turf installations, the 5 oz non-woven polypropylene fabric material we now use and sell far out preforms all the rest. Learn from our mistakes, and purchase the best 12" wide seaming tape/binder available on the market today. Seam Tape Excellent for applications where you do not want the adhesive to soak all the way through. 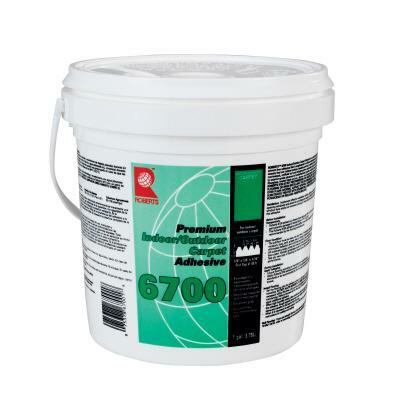 CA-6700 A solvent free, premium adhesive for Indoor & Outdoor synthetic turf & carpet seaming. XGS-Green An Eco-Friendly, premium green adhesive for Indoor & Outdoor synthetic putting green / turf & carpet seaming. 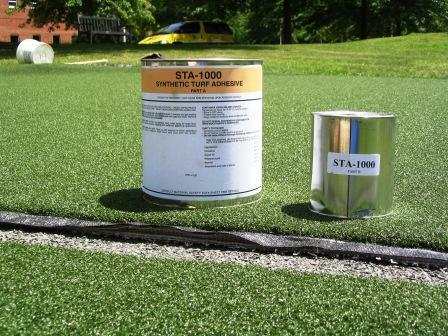 STA-1000 Fast Setting, Super Strong, Flexible 2-Part Adhesive - Colored: "Turf Green"